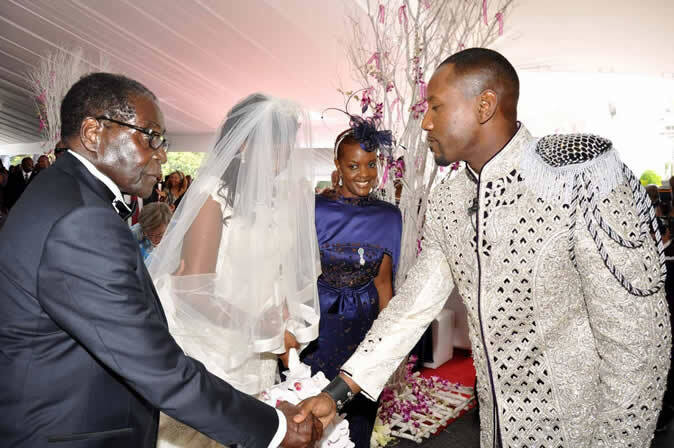 FORMER President Robert Mugabe's son-in-law unsuccessfully challenged his continued remand Wednesday after being told he was to be jointly charged with a former Air Zimbabwe security guard. Simba Chikore, 41, is answering unlawful detention charges before Harare magistrate Elisha Singano. On Wednesday he sought to be removed from remand saying his case should continue by way of summons. This was after prosecutor Linda Gadzikwa applied to have the case merged with that of security guard Simbarashe Mutimbe, a suspected accomplice. Not amused, Chikore accused the State of ambushing him. "What the state is doing is not proper," said Chikore's lawyer Chris Venturas Jnr. "I apply that the case against my client be withdrawn now and that the State continues by way of summons. "The State should have notified us (about) its intention so that we prepare for such decisions; we needed that courtesy." However, the magistrate ruled in favour of the State saying Chikore would "not suffer any prejudice if jointly charged with Mutimbe." "The reading of the case is very clear. The State says the offence was committed by two people. "It's common cause that the charge is the same although Mutimbe was first to be arrested," said the magistrate. The case was then remanded to December 14 for commencement of trial. Chikore came to court accompanied by wife Bona who stood in the gallery after failing to secure a seat as her husband was being prosecuted. According to the State, Chikore "hatched a plan and connived" with Mutimbe to unlawfully detain and deprive Bertha Tsitsi Zakeyo of her freedom movement. The duo reportedly refused to allow Zakeyo exit her workplace at Zimbabwe Airways Private Limited premises for four hours against her will. The allegations arose on June 7 this year when Chikore sacked Zakeyo for allegedly leaking company secrets. Zakeyo was the company's legal officer. It is alleged that Chikore then tried to force Zakeyo to sign a letter accepting her dismissal, but she refused to do so, demanding the presence of her lawyer. Court heard Mutimbe – a security guard – then prevented Zakeyo from leaving the company.